After years as a student loan lender and depository institute, SoFi has taken its next step toward becoming a full-service financial institution. The financial company now offers investment management services with low investment minimums, low costs, and major benefits. Should you use SoFi’s new wealth management service? We dug in to explain the perks and where the service may fall short for some investors. However, with their free pricing, SoFi Wealth is already on track to become a leader in the space. What Is SoFi Wealth Management? What Makes SoFi Wealth Management Better Than Other Automated Investing Platforms? What Makes SoFi Wealth Management Worse Than Other Automated Investing Platforms? Is There Any Concerning Fine Print? SoFi Wealth Management is the financial company’s first foray into wealth management. It is a no management fee “robo-investor” that helps customers create and maintain low-cost, diversified portfolios of ETFs (that track stock and bond indexes). SoFi Wealth Management offers joint and individual wealth management accounts, and traditional, Roth, and SEP IRAs (for investors who qualify). SoFi has an investment minimum of just $100 (lower than Wealthfront’s minimum of $500). Plus, SoFi has announced that they won't be charging management fees at all! A huge savings compared to the competitors. Since most robo-advisors offer relatively similar investment strategies, picking a “best” robo-advisor can be challenging. The following are a few unique benefits of investing with SoFi (compared to investing with other automated investing platforms). SoFi investors can get unlimited advice from a financial advisor. I suspect that this benefit will be underutilized by SoFi’s investors, but I think the value proposition is amazing. Most “DIY” investors believe that an investing algorithm will work just as well as a human financial advisor. However, a huge portion of wealth-building and investing success is about behavioral change. These financial advisors should be competent in helping investors balance their short- and medium-term financial goals (funding a wedding, buying a house, taking a big trip) against long-term goals (such as funding college for kids or retiring). SoFi Wealth has announced that they are not going to be charging management fees at all on their product. That makes them the best priced robo-advisor out there. And when you combine that with getting access to a financial advisor, it's a really big win. Remember, Betterment charges 0.40% if you want access to CFPs, so that savings can be significant on a large portfolio. SoFi offers all members career and income planning advice, and it hosts free events in several metro areas across the U.S. (especially New York and San Francisco, but other areas as well). This is a huge benefit for people that struggle with writing resumes or need help negotiating a new salary package. Of course, SoFi is an automated investment platform, and it offers automated investing. As an investor, you’ll simply put money into the account, and SoFi will invest and rebalance the account for you. SoFi rebalances as often as once per month, but only when your investment portfolio is too far out of line with your target portfolio. Although SoFi has some distinctive benefits, it’s not the best value proposition for everyone. The following are a few areas that other automated investing platforms do better than SoFi. M1 Finance offers management fees of 0%, even on portfolios that require regular rebalancing. Since M1 Finance also allows you to invest directly in stocks, this is easily the platform with the lowest cost. (Find other ways to invest for free here). Investors who only have retirement accounts don’t really need to worry about tax-loss harvesting. However, if you’re investing outside of a sheltered account, you need to worry about the tax implications of rebalancing. Wealthfront and Betterment both offer automatic tax-loss harvesting in taxable brokerage accounts. This is a great way to enjoy a sustained market advantage, and SoFi hasn’t built it into their algorithm (yet). 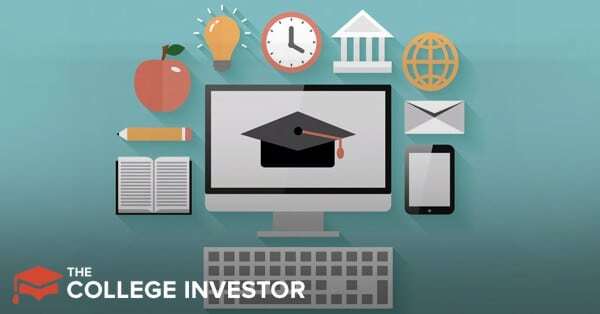 SoFi’s portfolio is comprised of stock and bond ETFs (including indices such as emerging markets, developed international, U.S. stocks, U.S. government bonds, corporate bonds, and more. This is actually a good array of selection given the minimum balance of $100. However, investors who want more control (including individual stocks) can’t get what they want from SoFi. You’ll have to choose a low-cost brokerage (such as TD Ameritrade or Fidelity) or M1 Finance for a more customizable portfolio. Plus, given how new SoFi Wealth is, we haven't seen a long track record of their performance. If you’re interested in investing for your child’s education, SoFi doesn’t offer 529 plans right now. Wealthfront is the only major robo-advisor offering 529 plan accounts at this time. SoFi Wealth Management has checked all the boxes in terms of legal brokerages and more. The only concern with SoFi Wealth Management is a concern that is shared by all robo-advisors. During the next downfall, can robo-advisors maintain their integrity while also protecting investors from panicking and selling at the bottom? Perhaps the access to financial advisors will help, but it’s tough to say for sure. Right now, if you’re only investing in retirement accounts, SoFi Wealth Management may be the robo-advisor to beat. The no management fee, free access to financial advisors, and the perks of SoFi membership are a tough combination to beat. If you’re committed to the automated investment route, SoFi seems like the right choice. However, investors who want more control over their portfolio may want to look to M1 Finance for a better option. Additionally, investors with after-tax portfolios can find the greatest tax efficiency by investing through Wealthfront. Check out SoFi Wealth here - it's free!